At Windows & More here in the Lake Ozark area, we get excited whenever we can help our customers get additional savings on an already great value. Which is why we’re pleased to point people to the 2018 Season of Style Savings Event going on now. Through this promotion, you can earn a $100 rebate just for purchasing a product you might already be considering. And with the holidays fast approaching, wouldn’t it be great to get another $100 in your pocket? For more details and to see the eligible products in person, speak with one of our representatives today. 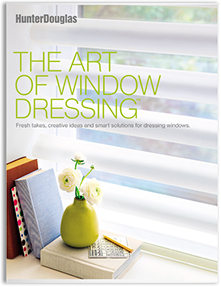 Sonnette™ Cellular Roller Shades. (Buy 4 units to earn a $100 rebate; earn a $25 rebate for each additional unit.) Available in 48 colors (from whites to brights) and in semi-opaque and room-darkening opacities, Sonnette Cellular Roller Shades will enhance any space. Pirouette® Shadings. (Buy 2 units to earn a $100 rebate; earn a $50 rebate for each additional unit.) Its softly contoured vanes can be closed for complete privacy or opened to let light in, and the shades offer excellent UV protection. Luminette® Privacy Sheers. (Buy 1 unit to earn a $100 rebate; earn a $100 rebate for each additional unit.) With a sheer fabric facing, Luminette offers vanes that let you control light and privacy. Simply purchase the required minimum of the product to earn a $100 rebate—and you can earn an incremental rebate for each additional unit you purchase. Hunter Douglas will send you the rebate in the form of a prepaid rewards card within four weeks of approving your rewards claim. Additional restrictions could apply, so speak with a representative for full details.